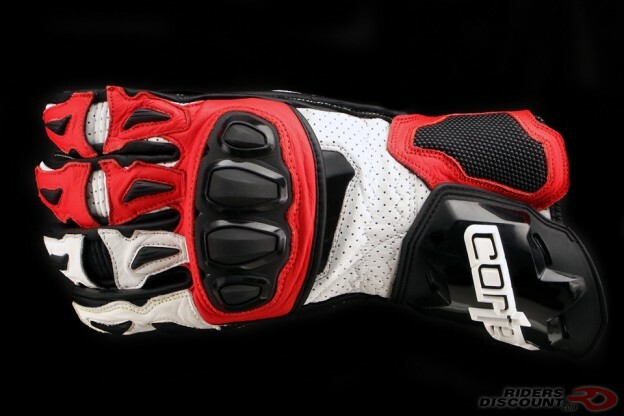 The Cortech Adrenaline 3.0 RR Gloves are constructed from top-grade bovine cow leather with goat leather on the palms. The lining and stitching are made of Kevlar for extra strength and weight savings. 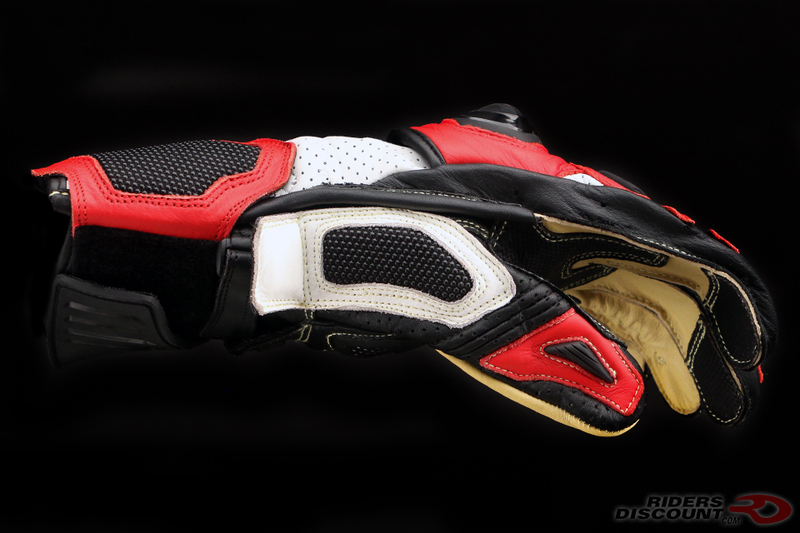 These gloves feature the KNOX SPS Scaphoid Protection System. 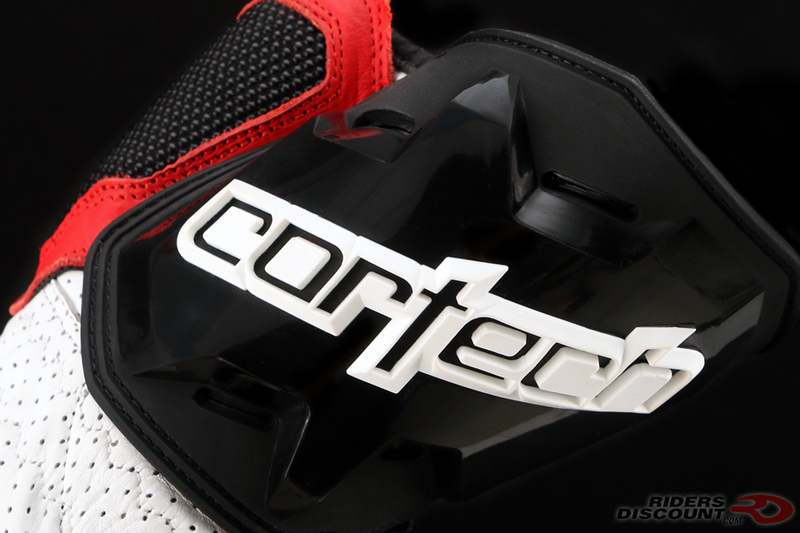 TPU knuckle, finger, thumb, and wrist protectors offer additional protection. The outer wrist and thumb incorporate durable SuperFabric. 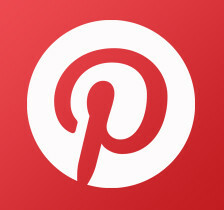 Digital leather overlays are included on the palm, thumb, middle, and index fingers. 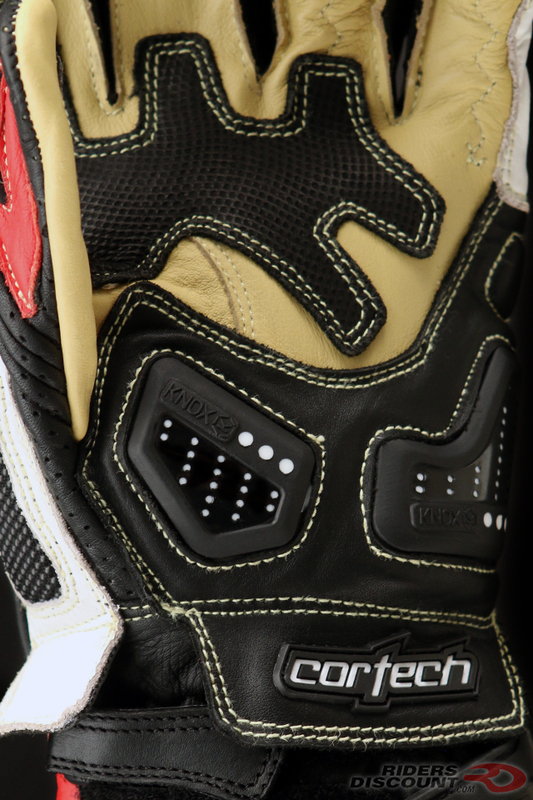 Perforated leather on the fourchettes and back of the hand allows air to flow through the gloves, keeping your hands cool and dry. The insulation is made from sweat-wicking COOLMAX fabric. 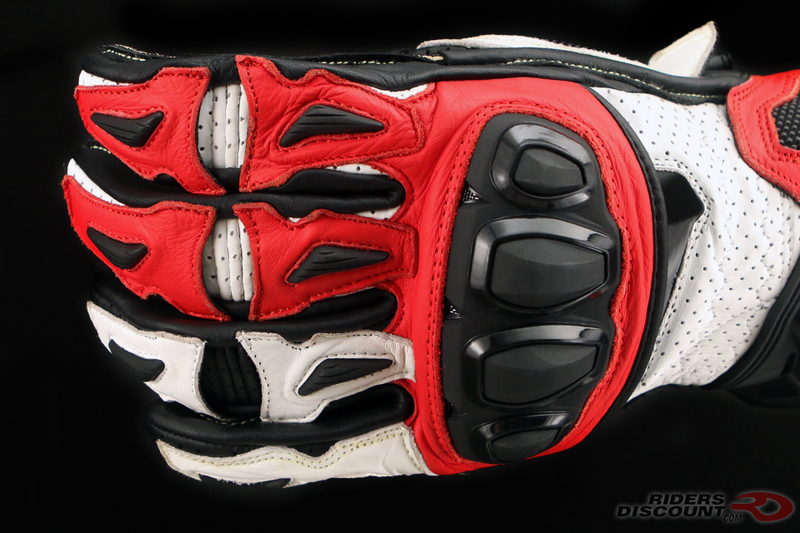 Accordion flex finger knuckles and reversed seam finger construction provide comfort and flexibility. 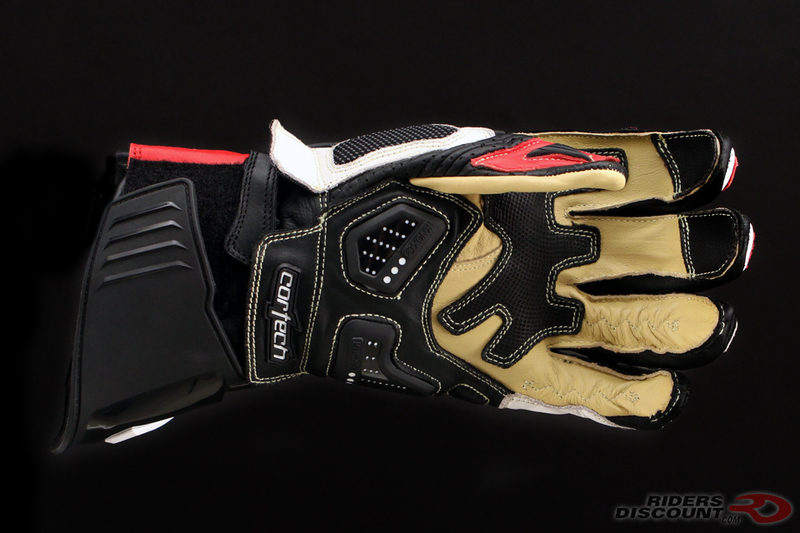 The Adrenaline 3.0 RR Gloves have a 360° dual gauntlet hook and loop closure.